Even if shamanism may no longer be an archetype in this modern era, it doesn’t deny the fact that there are shamans out there who are born to fulfill their purpose of healing. These healers are the people who feel the need to heal the world and the people in it, yet don’t feel they fit in mainstream medicine. They are the silent healers who practice their natural healing art through what we can call unconventional practices like intuitive medicine, ritual, and communication with spirits. If you feel you’re drawn to this area but aren’t sure why, chances are, you’re a shaman whose calling is still unclear to you. Here are the signs that say you belong to the shamanic archetype. 1. Feeling pulled to participate in the global shift in consciousness. New Agers have been talking about the impending shift in human consciousness, which has been felt by many of us. 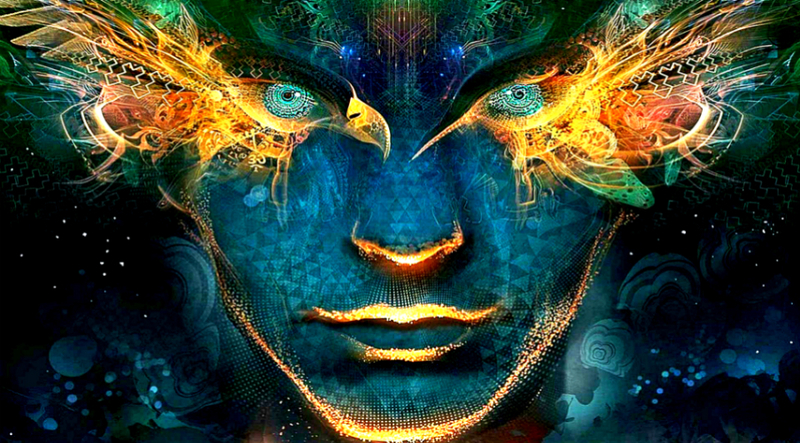 But, as a shaman, you not only feel this shift, you feel pulled to facilitate the transformation of the human consciousness as well as the evolution of the species. 2. You need solitude to recharge and grow. Because shamans are multi dimensional beings who danced between the seen and the unseen world, you need to withdraw into a place where you feel most at home. It’s in this solitude that you’re able to face the other realms of your consciousness. 3. Having the need to be with nature. As a shaman, you serve as the bridge between nature and humans. You feel you’re most tuned in when you surround yourself with nature. And you feel you’re the voice through which nature speaks. 4. Hearing the spiritual call to heal people, animals, and nature. You feel the need to ease the suffering of people, animals, and nature. Answering this calling doesn’t mean you have to become a health care provider to fulfill your purpose. In whichever way you answer, this will transmute itself into a healing answer to people, animals, and nature. 5. Having vivid dreams where the unseen realm communicates with you. If animal totems appear in your dream, analyze what their message is by using the Jungian analysis exercise. Shamans are endowed with spiritual powers unique only to them that include psychic power, healing visions, healing people through your touch, or telepathic communication. 7. Feeling you don’t belong. Traditional shamans choose to live on the outskirts of the village. For this, modern shamans feel they don’t quite fit in. As a shaman, you do fit in. What you do need are people who understand your shamanic gifts, provide you with the space that you need, and recognize that you have an essential role to play in this life. What If You Were Born To Be A Shaman? Being a shaman might be a challenging call. You may be full of fears because of the past lives you’ve lived where you’ve experienced persecution as a result of your calling. But then you have to be brave and courageous to make your journey into this world. You need to reach out to other shamans to feel safe and to belong. Together, you will be able to bring this world into its rightful destination of healing and evolution.